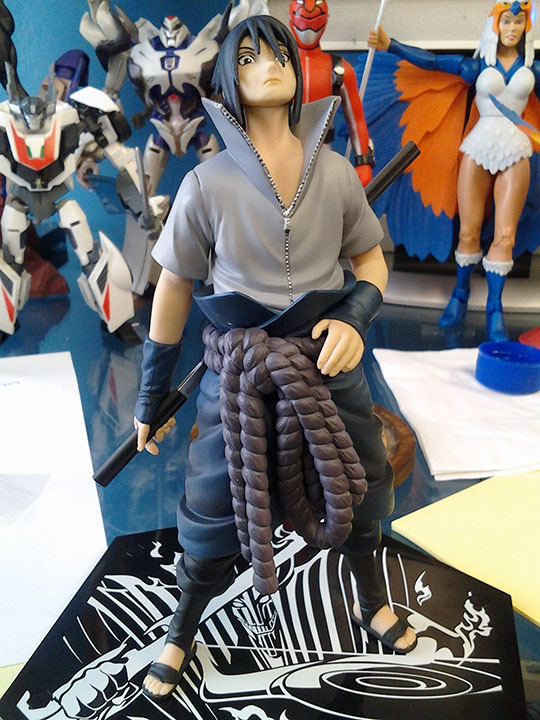 the pose if very intimidating…just what you expect from Sasuke. the sword can be tough to insert into hand as well as under the belt. the eyes don’t quite match the promotional images of the figure. There a bit low in my opinion. 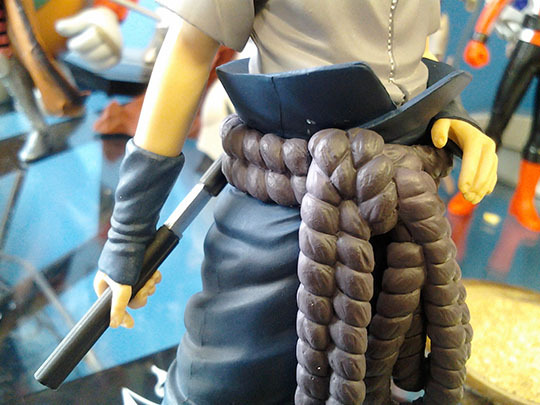 Amazing detail on the belt. 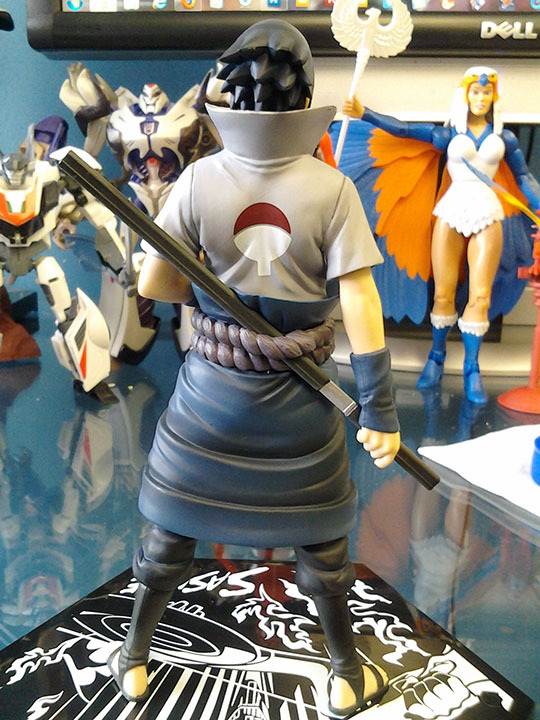 No Sasuke figure is complete if he isn’t sporting the Uchiha crest. 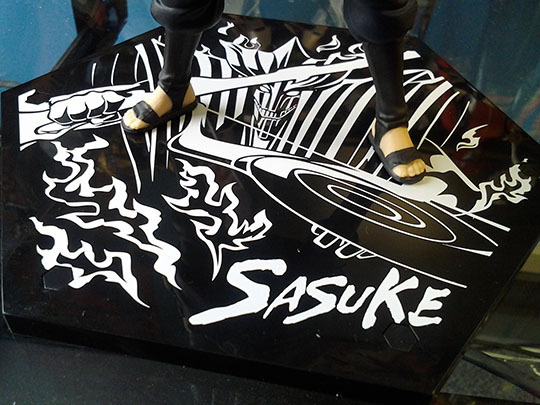 The figure connects to very nicely designed display base. 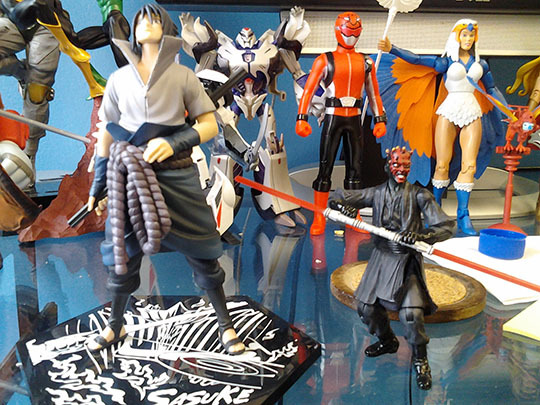 Here is Sasuke next to your standard 3.75″ Star Wars figure. 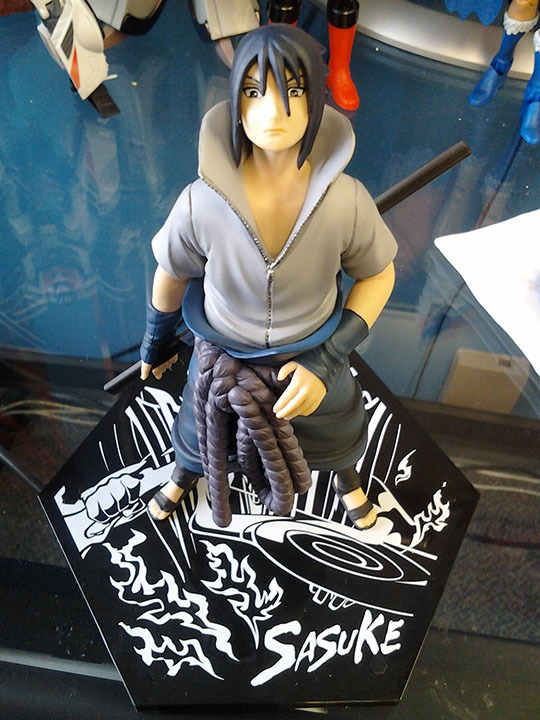 Sasuke is my favorite character in the Naruto universe and despite being a great looking figure, $40 is way too much for this figure. The figure is about half a inch shorter than your average S.H. 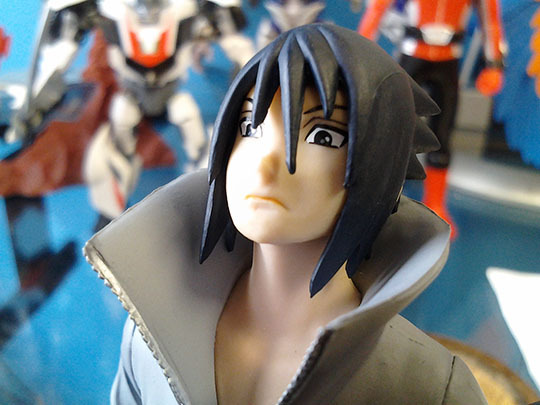 Figuarts action figure and has no articulation…so your basically getting a small pvc statue. 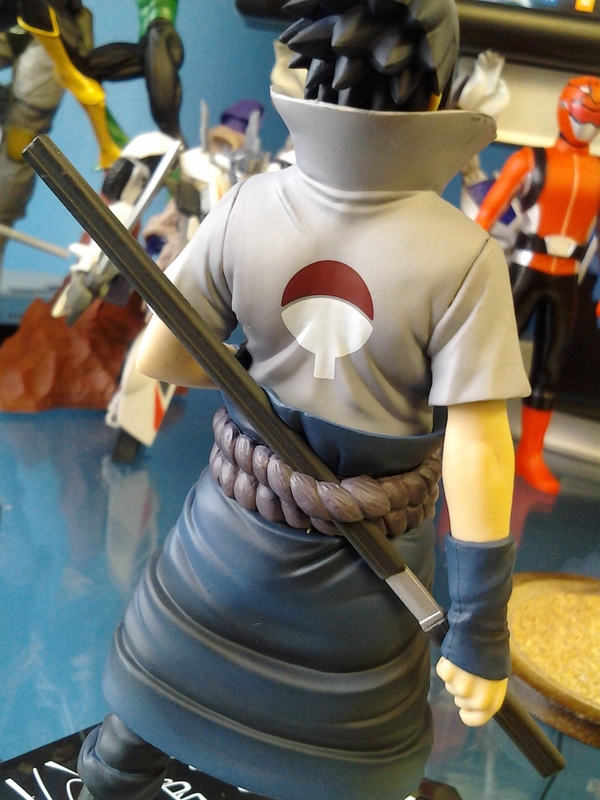 Another problem with the figure is the way his head and eyes are positioned. The best angle to view this figure is when you looking up towards it rather than down so he seems like he’s looking at you. 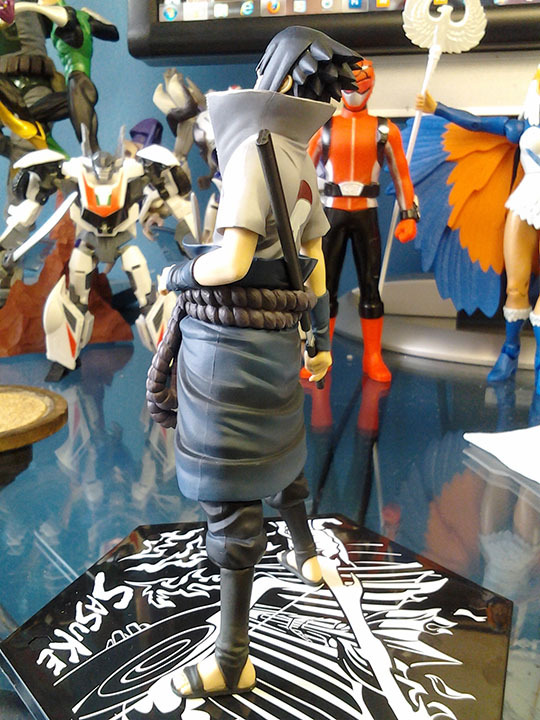 A top down view of this figure really seems odd in my opinion. Finally thoughts, stay clear of this figure mainly of the $40 price point. I strongly suggest if you have plans to buy this guy, try to get yours for less than $30.